The fastest way to give your ride a fresh, new and unique look is with a new set of ProLine Alloy Custom Wheels or Rims. 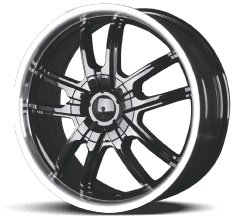 The ProLine Alloy Custom Wheel is exclusive to Auto Plus and Pep Boys and is available to you in a wide variety of wheel sizes, finishes and style types. These wheels are easy to clean and maintain and are reasonably priced. Proline Type 183 is a one-piece cast aluminum alloy wheel that is painted black with a five-split spoke design and machined lip finish. 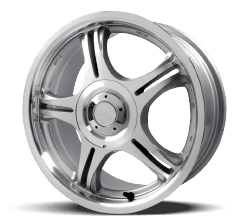 Proline Type 333 is a one piece cast aluminum alloy wheel that is painted silver and machined with a clear coat finish. 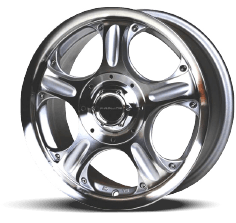 Proline Type 950S is a one-piece cast aluminum alloy wheel, painted silver with a machined face and lip finished with clear coat, and simulated rivets. 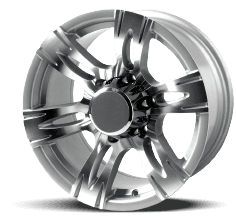 Proline Type 186S is a one-piece cast aluminum alloy wheel with a six-spoke design that is painted silver with machined detail. A new set of wheels is one of the easiest mods that make the biggest impact to your rides appearance. Rev up your car's personality with these refined alloy wheels to give your car some gloss.